Luxury accommodation and guaranteed bore hole water supply just a stone's throw from the beach. We would love to accommodate you! Sit back and enjoy your stay with us! We are here to make your stay special! Sheltered garden and salt water pool. the beauty is at the tip of your nose! and we mean every day! Wind maniacs have the best spot in front of the door! it is breath taking at Sunset-Beach! There is so much to explore in Cape Town! First of all we would like to give you some information about the water restriction in Cape Town: We take the water problem in South Africa very serious and therefore we only use borehole water from our own fountains in our guesthouse! Therefore we are completely independent at the moment. we ask our guest to use water responsibly and make sure to help saving water wherever possible! SUNSET LOFT, a stunning contemporary designed guesthouse is situated on Sunset Beach (just 50 meters away from the beach) which is one of the top rated watersport spots and holiday locations in South Africa and is just a 15 min drive away from the city center of Cape Town, the Table Mountain and the V&A Waterfront. It is also within close proximity to the wine lands, amazing golf courses, beautiful mountain hiking routes & cycling trails - just the perfect hub! With SUNSER LOFT we created a guesthouse in Cape Town which offers a smart alternative to visitors who are bored with the bland impersonality of most hotel chains. We offer winter specials from May to October! Great for business travellers or people who appreciate the peacefulness of the Cape Townian wintertime. Working in Cape Town and still looking for a comfy self catering guesthouse at Sunset Beach with a fast connection to the Cape Town and all amenities you could possibly think of? Here we go! Why staying in a huge hotel when you could have a home from home in a beautiful surrounding? our best special is Ellen who will make your stay a special one! Another special we'd like to offer? Try a kite course with our partner: Kite World Wide. 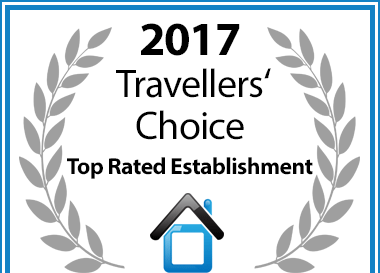 In recognition of exceptional guest reviews Sunset Loft in Cape Town has been awarded a Travellers’ Choice Award. 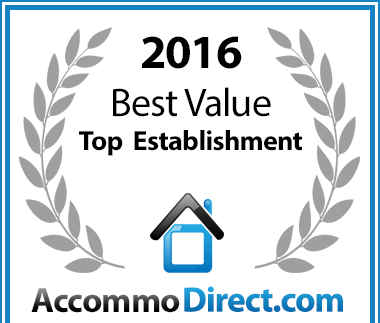 Sunset Loft has been voted a Best Value for money Sunset Beach establishment.